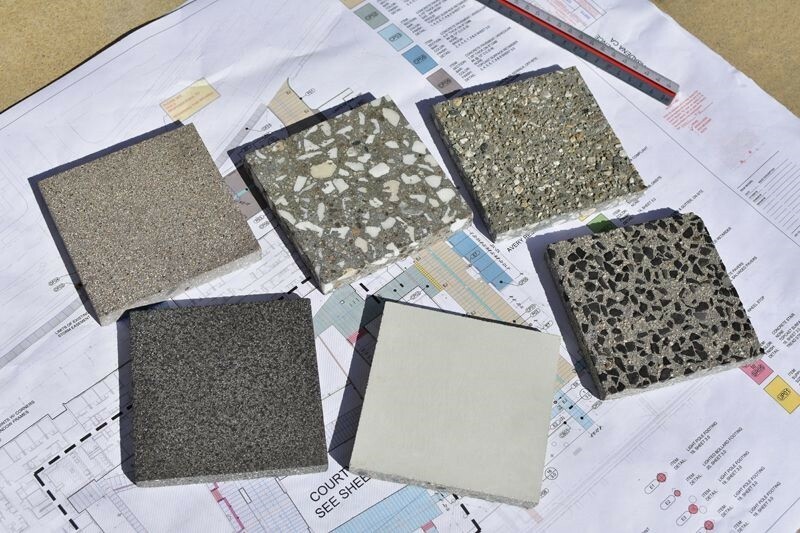 A sample range of textures ranging from an EcoCast 3 (sand finish) to EcoCast 125 top surface retarder. 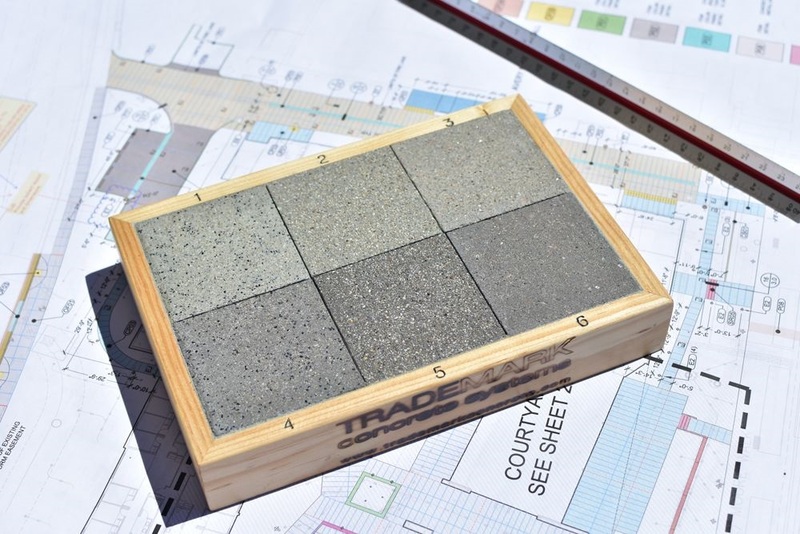 A current trend in concrete color are those in the gray range – this bar shows a side by side comparison ranging from uncolored concrete to Dark Gray concrete. Trademark has preapproved materials for use in the public right of way in the City of Los Angeles. A compilation board for the 73-story project in Los Angeles showing the paving types – colors and finishes. 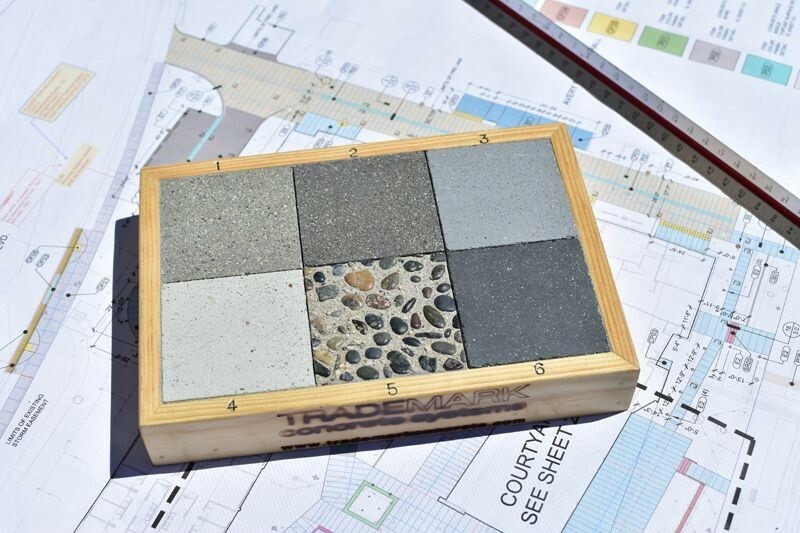 A typical compilation board for a project to identify the paving types as noted on the paving legend. 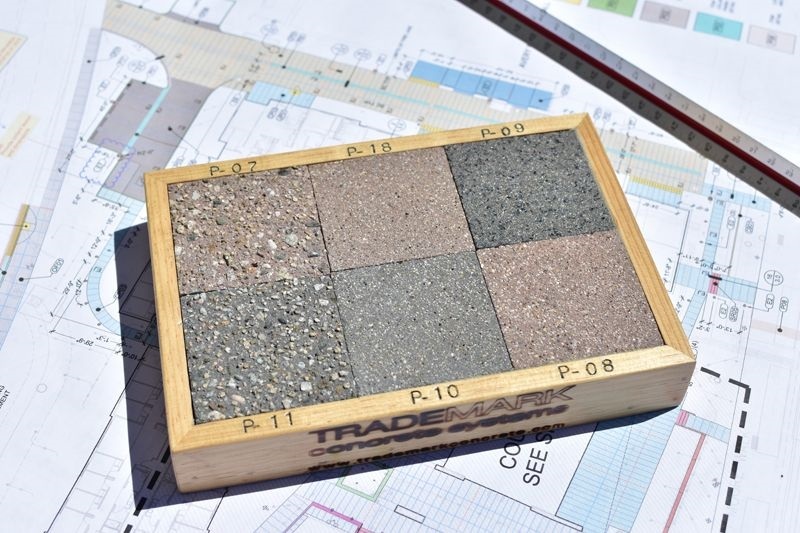 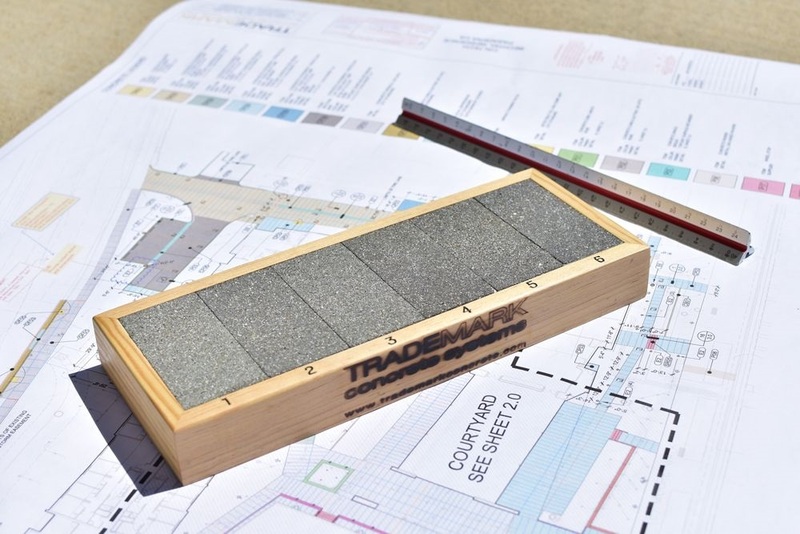 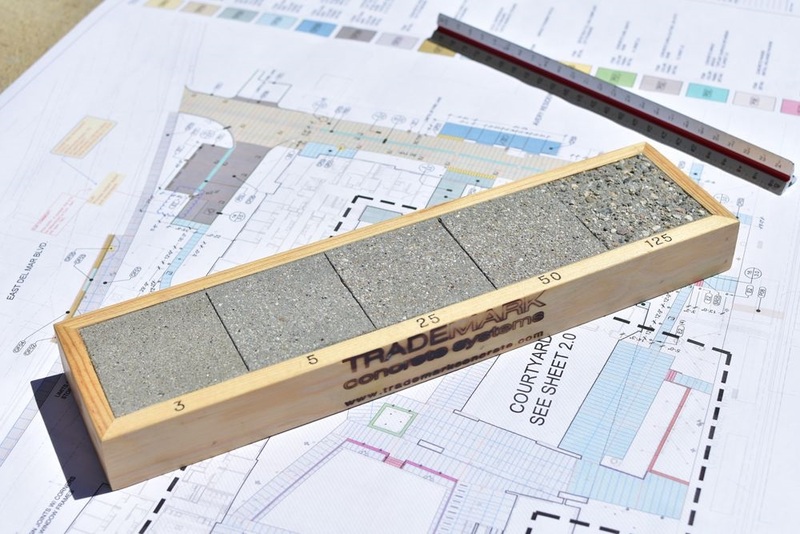 Trademark provides 6” x 6” x ¾” thick samples of color and texture as requested by designing professionals or owners in areas and types of projects that we service.